‘Avengers: Endgame’: Did The New Trailer Reveal How Hulk Returns? Hulk and Bruce Banner haven’t been on really good terms since Thor: Ragnarok. After Bruce turned into Hulk so that he could escape Asgard, it was speculated that he will be in permanent control of their shared egos. But that seemed to have changed in Infinity War when Hulk was dropped to Earth from the Bitfrost. Ever since, Hulk refused to come out again, although we know that’s going to change in Avengers: Endgame. HOW Will Hulk return in Avengers: Endgame? How Will Hulk return in Endgame? The question hasn’t been if Hulk would return in Endgame or not. It’s been HOW will he do it. While there hasn’t been any solid evidence about his return, the new trailer may have given fans the biggest hint yet, and it does make sense. If you notice the trailer, there are many hints that the Avengers HQ will be under an attack in the film. We see an explosion behind Ant-Man in an office, which connects him to the party where he’s interacting with pencils and pens amidst fire. Now if you compare this destruction with the shots of Nebula and Cap, it suggests that they all are present at the same place. One shot sees Bruce too, and he’s inside the HQ’s. 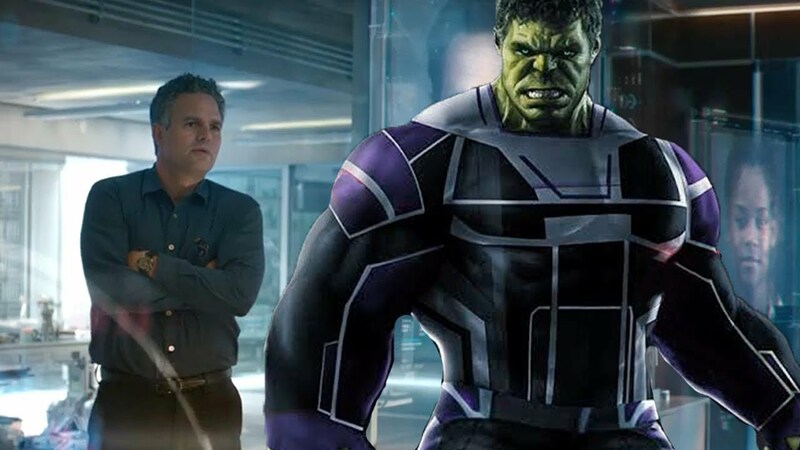 Avengers: Endgame will see Hulk return for sure. If this is the case, and the whole building does end up exploding, Bruce is one of the few characters who are left defenceless. When the explosion takes place, he’s caught by surprise, and only one of the two things may happen here. Either he dies, or he transforms into the Hulk to save himself. Also Read: WIll DC Fans Get To See Batman In ‘Birds Of Prey’? But while Hulk isn’t really interested in coming back for Banner’s help, he’s not fond of dying either so we hope that Hulk’s instincts will kick in and he will have full control of Banner. This will explain why Bruce isn’t present in any of those “Whole team marching” shots when they are all dressed up in new suits. Marvel wouldn’t want to spoil the fun for all Hulk fans but Banner’s absence does hint at something. ‘The Flash’: Ezra Miller’s possible Exit!